Are you receiving spam emails sent from your own account? Please read. We have received a number of reports of spam emails being sent to our members that appear to come from their own account. These emails contain a potentially malicious attachment. The emails in question appear to be "spoofed" emails - these are not actually sent from your account but are sent from another device. Many spammers use this method as this bypasses many spam filters (an email sent to your account from its own email address is usually marked as 'Safe' automatically) and is similar to amending the "Return to" address on a physical letter to a different address. Please do not open the attachment on these emails. If you are at all concerned about the security of your account, we usually recommend changing your password and/or running a thorough virus/malware scan on your devices. However, in this case, it is unlikely that this issue stems from anything on your device, and is more of a precaution than a necessity. Firstly, to try and reduce the number of these emails reaching your inbox, we will be temporarily blocking the receipt of additional file types that may contain the infected files. Once the amount of spam has been reduced, we will remove these restrictions. Another option (if you don't ever normally send emails to yourself) is to set up a mail filter that sends any email coming from your address straight into the Trash (or another folder). 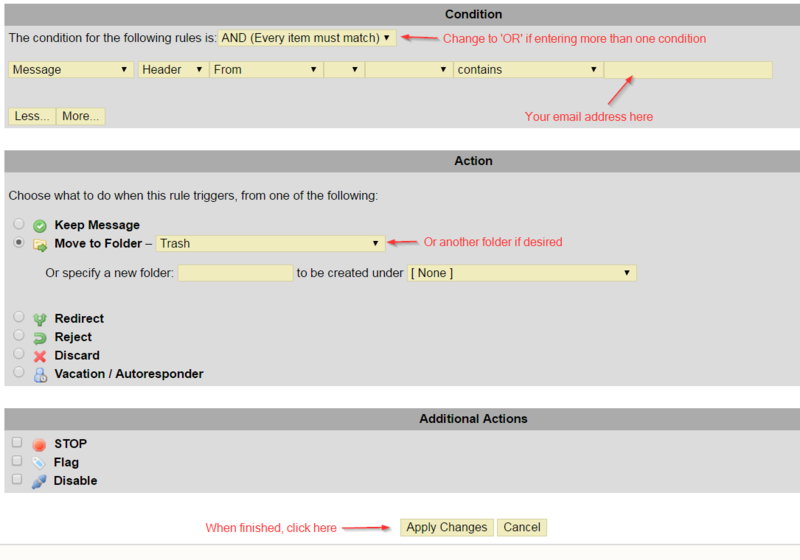 You can do this by going to Options -> Mail filters. To summarise, please rest assured that your account has not been compromised and that these are 'regular' spam emails being disguised as coming from your own account. As always though, if you have any questions or concerns, please contact our support desk.